We are seeking a GP for a modern practice located just 25 minutes from Brisbane CBD. The practice is located inside a major shopping centre close to Brisbane and is co-located with a pharmacy, with pathology and radiology a short distance down the road. The local hospital is Logan Hospital which is 8km from the practice. The practice currently has 6 GPs, a dietician and a clinical psychologist who regularly attend, and a large treatment room and 5 consulting rooms. There is a friendly team of reception staff made up of 2 full-time and 2 part-time staff members. There are 2 registered nurses who make up one full time equivalent nurse. Patient demographics are mixed with many families and a small percentage of elderly patients. The patients’ economic circumstances are diverse within the same geographic location. Minimum guaranteed earnings of $100 per hour for 38 hours per week for the first 12 weeks . To be considered for this position you must have MRCGP / UK CCT, MICGP, FRACGP or equivalent. 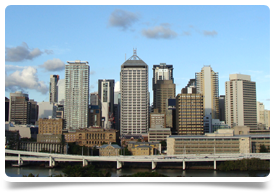 Brisbane is the state capital of Queensland and is the largest city in the state. It has an estimated population of approximately 2 million, and is a cosmopolitan and lively city home to many different types of scenery, including skyscrapers, parkland and even an artificial beach. Brisbane is a river city, although close to the coast, with Brisbane River running through it, and is surrounded by hills and bridges. Brisbane also gives easy access to a number of attractions as well as the Gold Coast and the Sunshine Coast. There is a humid subtropical climate with hot, humid summers and dry, mild winters – perfect for enjoying the outdoors lifestyle. Arranging a position overseas is exciting, but we understand that it can also be complex and time consuming. We’re the UK's specialist in international medical recruitment and have helped many Doctors relocate since we first started out in 2008 (you can read what people have said about working with us on our testimonials page). We know it’s important to balance career opportunities with lifestyle and we’ll talk through your plans and will get to know you to make sure we find the right role in the right location. Once we have secured a job for you, we’ll manage the Medical Registration and Visa application process, and support you throughout the relocation.